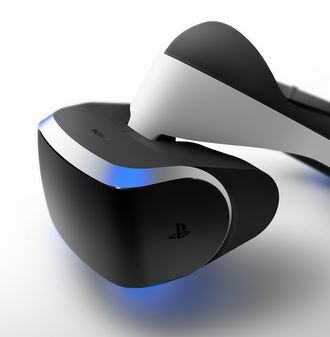 Project Morpheus and Oculus Rift were the hot topics at GDC 2014 this week, with the former in development on a fixed platform, and the latter developed for a system which becomes more powerful each year. It would seem Oculus Rift would have the advantage in the VR sector, but according to Sony R&D senior software engineer Anton Mikhailov, that’s not the case at all. Speaking with Eurogamer at GDC, Mikhailov said while fixed systems such as PlayStation 4 aren’t revised every year, there’s still an advantage to the hardware. “We’re in this for the long haul first of all. One thing people forget is what they’ve seen from PS4 so far have been the launch titles – if you look at the difference in quality between PS3 launch and PS3 end of lifecycle, the quality difference is massive,” said Mikhailov. “The advantage of fixed hardware is, while it doesn’t revise every year, developers continuously find new tricks to employ because it is a fixed platform. There’s a duality there. What you’re seeing currently is a pretty compelling VR experience, and these are tech demos that haven’t been optimized by top games studios. I think we’re in a good place. Games with high refresh rates, as Mikhailov noted above with The Castle and The Deep, are important for VR, and he doesn’t see issues preventing higher frames per second. When Eurogamer questioned Mikhailov on the Thief demo for Project Morpheus, the site asked how a game which “struggles to reach 30fps on PS4” fares on the VR headset. “The build we have for Thief is running 60fps, but it’s a PC build so it’s not really a comparison,” he said. But The Deep and Castle are both running at 60, and there’s other games on PS4 that are graphically intense that are running at 60. Really 30 or 60 on PS4 is more an aesthetic choice than a technological choice. Of course you can squeeze in more graphics at 30, there’s no doubt, you have double the frame time. “The reality is that when you’re rendering VR, a lot of the details that traditionally get done in games like post-effects, motion blur – they’re not needed. Things like a lot of the lens effects, a lot of the distortions people do, they’re quite expensive to do in post. You don’t need those in VR, because you’re trying to make a more believable world. So a lot of what people do in current games are camera artifact effects – vignetting, film grain noise – so you save a lot of processing power there first of all. “There’s also another belief that people think it takes twice the power to render stereo – that’s not true because your physics, your AI, everything runs once when you’re rendering stereo, and a lot of the graphics even only run once. For example, shadow computations can be re-used from eye to eye. So it’s really not a 2x jump going from mono to stereo.